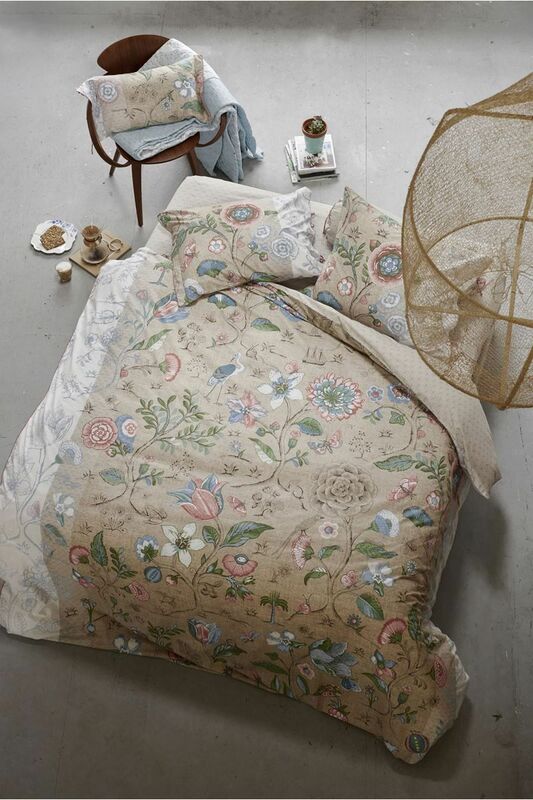 This beautiful duvet cover is woven from premium cotton percale with a super soft hand feel. 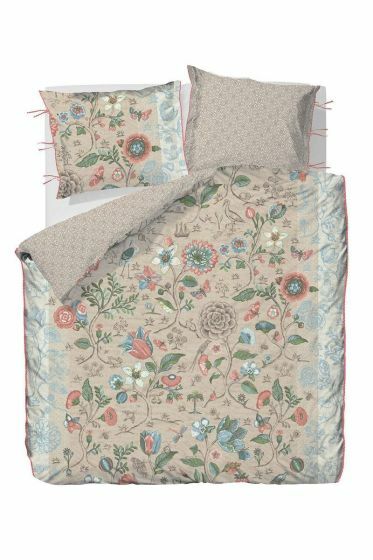 The duvet cover is furthermore adorned with our Spring to Life print of beautiful flowers, lush blossoms and elegant birds and is underpinned with an antique flower pattern. 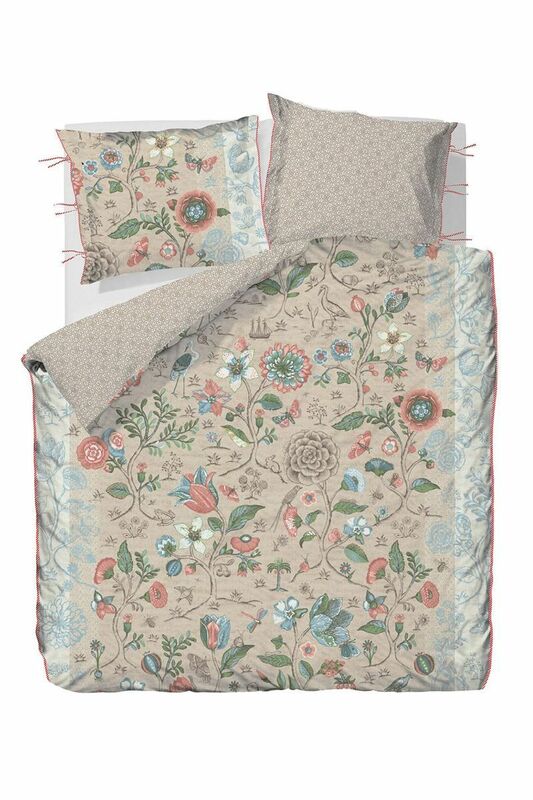 Red and white striped piping and a bow closure complete this unique duvet cover.